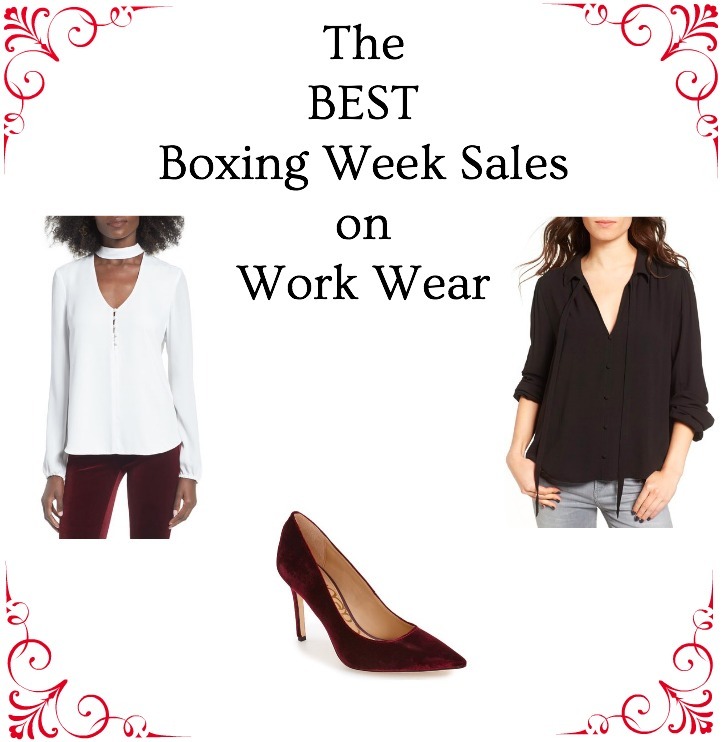 Best of Office Wear Boxing Week Sales! Welcome Back! I hope you all had a great Christmas break – and got a chance to unwind with your friends and family. I am back to blogging today (clearly haha) and wanted to share with you the best sales on office wear. Get your boxing week shopping on! Below is a list of the best deals on work wear during this sale week. I am loving how great the sales are this year! I have already ordered two new work dresses. At the end of this list you’ll see a widget with my personal top picks for sale work wear! Last thing – if you are doing any online shopping this boxing week, be sure to SIGN UP WITH EBATES! I can‘t praise this site enough. You shop at all your regular stores but you get cash back. Woot!